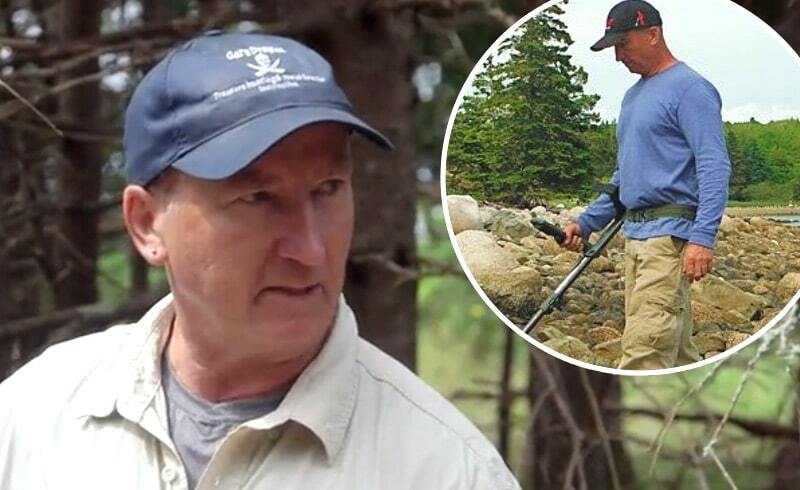 Gary Drayton is one of most endearing members of The Curse of Oak Island team, with his constant stream of fascinating discoveries and the promise that we’ll one day get to see his “gold dance” on the show. But what is his background, and how did he become such a big name among the metal-detecting community? Gary has been lending his skills to the search for treasure on The Curse of Oak Island since 2014, but his fascination with all things hidden began many years ago when he was a young man growing up in the English seaside town of Grimsby — once the largest fishing port in the world. Dubbed a “metal-detecting ninja” by Drilling Down host Matty Blake, Gary was always driven by the excitement of the hunt. In Grimsby, he used to spend his spare time doing what is known as “mud larking” — looking for historic old bottles and clay pipes in river banks, often hundreds of years old. But when Gary started discovering more and more coins during his searches, he decided to throw himself into the world of metal-detecting. He now lives in south Florida, where he became infatuated with a hunt for Spanish treasure, and spends most of the year searching for precious finds using his trusty Minelab CTX 3030 metal-detector and a several other devices to aid his quest. As fans of The Curse of Oak Island will know from his regular exclamations of “sweet, “cool” and “that’s an oldie”, Gary is an expert at what he does. A beach and shallow water specialist, he is always open to new ideas and techniques and this very blue-sky approach has helped him unearth some great finds over the years. As well as the CTX 3030, he uses an array of tools from spades through to powerful pull magnets and even an occasional hammer and chisel. His success also relies on searching places other people have not tried or have found too difficult. His reasoning is that the longer an area has been undisturbed, the older any find there is likely to be — it’s just that many of these coins or treasure traps are a little harder to get at, whether that’s under hard-packed sand, layers of shell, or out at the edge of a coral reef. Gary has a YouTube channel where he regularly posts videos explaining his techniques, sharing his ideas, and showing some of his finds. He has also published several books on metal detecting including one on hunting heavily searches beaches and another that explains how to hunt in water. Gary sometimes also offers treasure-hunting adventures in Florida and metal-detecting tuition, where he passes on his skills in person. He also regularly posts stories of his finds on his blog. 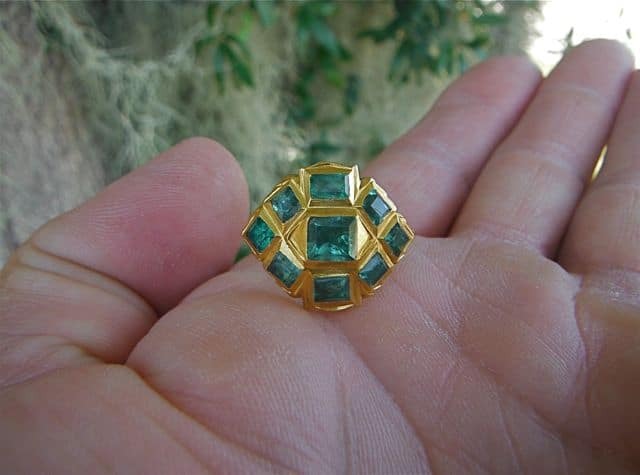 Some of Drayton’s interesting finds include a 1715 Spanish ring made from 22.5K Inca gold and set with nine Colombian emeralds, pictured above, and a 17th century Spanish religious object made from silver which was washed up after a hurricane. 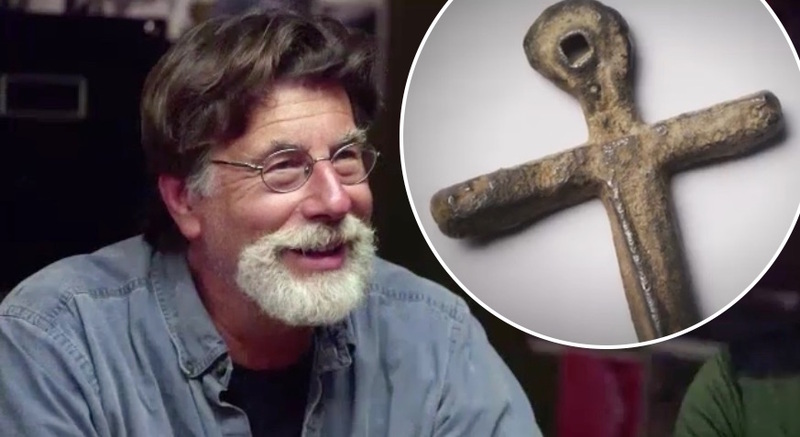 Fans of The Curse of Oak Island will also be familiar with his string of historically significant finds on the show, including this season’s rose-headed nail and various coins. However, it’s not all old artifacts that Gary discovers — with many of his finds coming in the shape of more modern expensive jewellery and watches. Past discoveries include a Rolex Submariner, diamond-studded crosses, and a whole host of gold and jade rings. In addition to his appearances on The Curse of Oak Island, Gary has also appeared on Expedition Unknown with Josh Gates. Will we finally get to see his famous “gold dance” on Season 5 of The Curse of Oak Island? That remains to be seen, but here’s hoping!